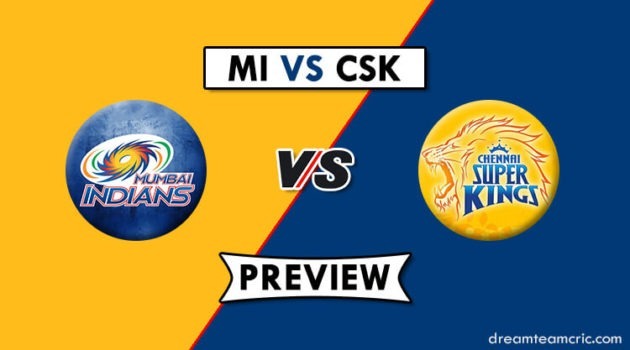 This month is full of T20 cricket action, on one side we are witnessing some crunchy clashes in IPL whereas another domestic CSA T20 league is giving some nail-biting matches to the fans of cricket. In CSA T20 cricket league tomorrow the 5th match of the tournament is going to be played between Dolphins and Lions at Kingsmead stadium in Durban. Although one team had a good start to the tournament whereas another team lost their tournament opener. So, let’s see whether Lions can turn the tables for them or still they need to wait for their first win CSA T20 league. 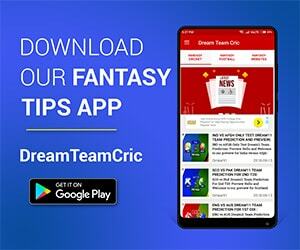 We are covering DOL vs HL Dream11 Prediction, Preview and Probable Playing XI for the 5th T20 match of CSA T20 Challenge 2019. Lions didn’t have a good start of the tournament. They lost their 1st match against Cape of Cobras in a close encounter by 5 runs. Lions have some strong player down the line in their batting order. Reeza Hendricks who didn’t perform well in the first match will surely try to perform as per his reputation in World Cricket. Ryan Rickleton was positive that Lions got in their first match. He played a brilliant inning of 69 runs against a brilliant bowling line up. Ryan will be expected to do the same against the Dolphins. Lions captain Temba Bavvuma played a good cameo of 46 runs in just 35 balls to make team reach a respectable total on the scoreboard. Under the likes of Wiaan Mulder, Bjorn Fortuin they have some economical bowlers who can contribute well with the bowl for the team. Dolphins got to a great start by winning their 1st clash against Knights very easily. Dolphin looks out to be a well-balanced team with some good bowlers and young batsmen in their top order. They are short of some big names in their team but they look no short of talented players in their team. S Erwee and Morne Wan Wyk are the openers who are capable of giving a good start to the team during every match. M Ackermann is expected to come out a bit early for the team. P Subrayen came out to be the best bowler for the team against Knights who took 3 important wickets as well as Keshav Maharaj turned out to be very economical for the team. The pitch of Kingsmead usually supports fast bowlers where they get a lot of swings and test the patience of batsmen. Nowadays, batsmen have no time to get settle down as per the pitch, so it is expected to be a low scoring match. A score of 150 runs will be pretty good to defend. The team winning the toss will look to bowl first on this ground. Lions: Ryan Rickelton(w), Reeza Hendricks, Rassie van der Dussen, Temba Bavuma(c), Wihan Lubbe, Dwaine Pretorius, Wiaan Mulder, Nono Pongolo, Bjorn Fortuin, Beuran Hendricks, Aaron Phangiso, Nicky van den Bergh, Kagiso Rapulana, Migael Pretorius, Craig Alexander, Dominic Hendricks, Mangaliso Mosehle, Omphile Ramela, Malusi Siboto, Yaseen Valli, Nandre Burger, Delano Potgieter. Dolphins: Sarel Erwee, Morne van Wyk(w), Cody Chetty, Khaya Zondo(c), Marques Ackerman, Sibonelo Makhanya, Keshav Maharaj, Ethan Bosch, Prenelan Subrayen, Lwandiswa Zuma, Daryn Dupavillon, Andile Phehlukwayo, Calvin Savage, Kerwin Mungroo, Mthokozisi Shezi, Okuhle Cele, Robbie Frylinck, Senuran Muthusamy, Smangaliso Nhlebela, Vaughn van Jaarsveld. Dolphins – Morne van Wyk (wk), Prenelan Subrayen, Cody Chetty, Keshav Maharaj, Khaya Zondo (c), Sibonelo Makhanya, Daryn Dupavillon, Sarel Erwee, Lwandiswa Zuma, Marques Ackerman, Ethan Bosch. Lions – Temba Bavuma (c), Dwaine Pretorius, Beuran Hendricks, Reeza Hendricks, Rassie van der Dussen, Malusi Siboto, Nono Pongolo, Bjorn Fortuin, Wiaan Mulder, Wihan Lubbe, Ryan Rickelton (wk).